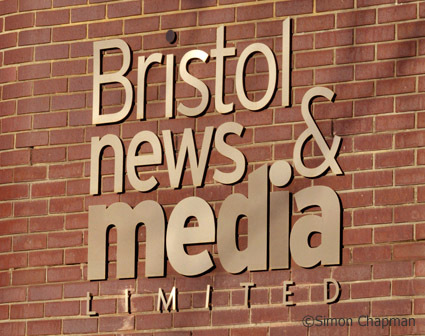 I suspect that few employees at Bristol News & Media will shed any tears at the news that Mike Norton, regional editor, and Steve Anderson-Dixon, regional MD, are to see their roles removed (even if they aren’t actually losing their jobs). Some will say that, after five rounds of job cuts in the editorial departments in five years, halving the number of journalists but sparing the management, it’s high time those at the top of the organisation were subject to the same ruthless discipline. On the one hand, this is clear evidence that the aggressive approach of outgoing national MD Michael Pelosi had failed. He was the man who appointed Mike Norton to the Bristol job, and it was on his watch that Northcliffe launched the reviled ‘Aim Higher!’ initiative, instantly re-named ‘Aim, Fire!’ as it was merely a cover for mass redundancies. Under Mr Pelosi, too, we have seen repeated will-we-won’t-we signals that Northcliffe’s regional papers were for sale. They still are – probably – if only a willing buyer can be found. Will staff be any better protected under new MD Steve Auckland? We will have to wait and see. The omens are not good, though: removing an editorial director and substituting a publisher with a clear duty to watch the bottom line at all times may mean that the interests of journalism are pushed even further down the priority list at Northcliffe Towers.